Designed and crafted in the UK, the Bonaire Table Lamp by Heathfield & Co is inspired by the dramatic landscape of sand dunes. The organic shape is complemented by a luxurious velvet shade and ridged detailing. 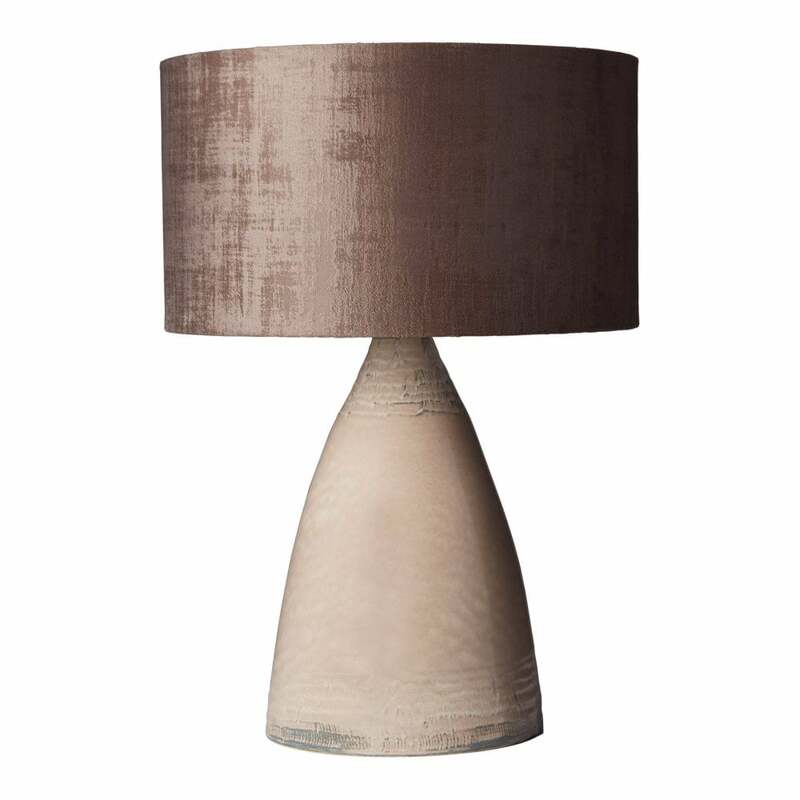 Crafted with a reactive ceramic glaze, the lamp showcases muted, blush pink tones that work beautifully within a minimalistic interior scheme or with on-trend terracotta hues. A wide variety of luxurious shades are available. Make an enquiry for more information.